WASHINGTON – (RealEstateRama) — U.S. Secretary of the Interior Ryan Zinke today announced that $61.6 million in revenues available through the Gulf of Mexico Energy Security Act (GOMESA) will be distributed to the 50 states, the Territories, and the District of Columbia for Land and Water Conservation Fund (LWCF) grants that support outdoor recreation and conservation projects. These funds, which are made up of non-taxpayer dollars from Outer Continental Shelf lease revenues, are awarded through federal matching grants that leverage public and private investment in America’s state and local public parks. 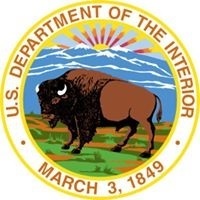 “The Land and Water Conservation Fund State and Local Assistance Program demonstrates how we can work together to improve and expand access to public outdoor recreation opportunities, modernize our country’s park and recreation infrastructure, and support state and local communities with new jobs and other economic benefits,” said Secretary Zinke.